So, you’re broke. Stint. Bust. Strapped for cash. 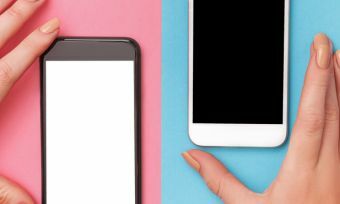 You don’t have a lot of money to spend on your mobile phone plan, but you can’t stand the thought of not being connected? Don’t fear: help is at hand! Kiwi mobile phone providers now offer a range of low-cost prepaid plans for the consumer on a budget. All of these plans cost just $20 per month or less, meaning you only need to stump up $5 a week for calling, data and texts. That’s a small price to pay for staying in touch with the modern world. Don’t sign-up for cheapest mobile phone plan you can find until you know what is on offer and how it fits with the way you use your phone. It pays to take a stocktake of how much calling, data and texts you use each month before signing up to anything. Jibber-jabbers or those streaming 24/7 are best to find a different plan. This is because cheap mobile phone plans are only good for customers using small amounts of minutes or data. If you go over your allocated amount of calling or data in the month, you could face high costs or find yourself without data until your plan rolls over. All of these plans are pre-pay, so you pay in advance. This also means you cannot get a deal on the latest phone and pay it off: you must own your phone outright. However, on the good side, most prepay plans are easy to change if you find it is not working for you. Who offers the best low-cost mobile phone plans? If you can’t stump up with any more than $5 a week for your mobile phone, the choices are not as limited as you might think. These are some of the best plans from NZ’s major mobile phone providers. 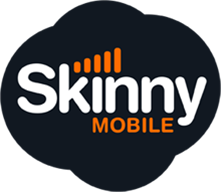 Skinny offers a number of prepaid phone plans, two of which cost well less than $20 for four weeks. The first is $9 every 28 days for 100 minutes calling, 250MB data and unlimited texts. The second costs $16 every 28 days for 200 minutes, 1.25GB data and unlimited texts. Calls are to both New Zealand and Australia. With both plans, you can also buy add-ons if you need more data or minutes before the month is out, such as 100 extra mins for $8 (this lasts 28 days) or 600Mb for $8 (this lasts seven days). Skinny’s $9 plan does have some disincentives, including not being able to buy the best-value data add-ons. Data and minutes with the $9 plan also do not roll-over at the end of the month – whereas they do roll-over with the more expensive plans. The more expensive plans also offer unlimited free calling to fellow Skinny mobiles. If you use all the minutes on your plan and do not buy an add-on, you will be charged 20c per min. If you use all the data, your data will stop until you buy an add-on or the 28-days starts again. Skinny offers a number of benefits including being able to bring over your existing number, and an easy-to-use online dashboard. A relative newcomer to the mobile phone market, Warehouse Mobile offers a number of low-cost prepaid options. Warehouse Mobile ticks a lot of boxes as it has genuinely cheap rates if you are not on a plan or you have used your plan’s credit – this includes 4c per minute calling, 6c per MB data and 2c per text. Another bonus is Warehouse Mobile’s combos are billed over 31 days, rather than the usual 28 days. Its standard combos include $12 for 200 minutes, 500MB data and unlimited texts or $16 for 200 minutes, 1.25GB data and unlimited texts. Calls and texts are to New Zealand and Australia, and data rolls over for up to 90 days. Warehouse Mobile also offers Pick ’n’ Go packs, so you can choose what you want, and leave out what you don’t want. The packs are $4 for 200 minutes, $4 for 500MB data or $8 for 1.25GB data and $4 for unlimited texts. If, for instance, you do not talk a lot on your phone, you could just buy the $4 texts combo and the $4 data combo, spending just $8 on your plan over 31 days. Warehouse Mobile offers customers the chance to bring over their existing number, and top-ups can be done through an app or by texting. The Warehouse also offers a range of low-cost phones to buy. 2degrees is known for shaking up the New Zealand mobile phone market, breaking up what was then a duopoly. The company was the first to offer carry-over prepaid plans, which means credit rolls over to the next month if unused. 2degrees advertises one budget ‘Carryover Combo’ prepaid phone plan. For $19 a month you 200 minutes, 1.25GB data, unlimited texts and unlimited calls to 2degrees mobiles. Calls and texts are to both New Zealand and Australia. 2degrees also offers data-only plans from $10 for 500MB. On top of the Carryover Combo plan, 2degrees has a number of other packs which can be used either as an add-on or a stand-alone pack. The best options include IOU packs, where 2degrees gives you up to $5 credit when you are low on cash and need to use your phone. This includes $5 for 5Mb of data and 20 minutes calling, which is valid for seven days. Another innovative option now offered by 2degrees is unlimited data for a set amount of time, using its Data Clock app. You can buy data from as little as 40c for 15 minutes to quickly sort a ride home, to $6 for 24 hours to binge-watch your favourite show. 2degrees combos offer no long-term contracts, so you can easily unsubscribe from your combo by text or online – and your credit will still carryover until it expires. If you use all the minutes and data in your combo before the month is up, or you do not have a combo, then standard prepay rates apply. This includes 44c per minute calling, 20c per text and 50c per MB data. As New Zealand’s largest telecommunications company, Spark offers a competitive prepaid plan. Spark’s $19 value pack includes 200 New Zealand minutes, 1.25GB of data and unlimited texts. The plan lasts for four weeks and includes a number of bonuses, including data and calling rolling over up to a certain amount, 50% off Spotify premium and up to 1GB per day free through Spark’s hotspots. Spark offers a range of monthly add-ons, including $5 for 50 extra minutes or $5 for 100MB extra data. It also offers data-only plans, starting from just $20 a month for 1.5GB, plus 1GB for social media. If you use your minutes or data on your 28-day plan, additional calling costs 49c per minute and additional data is $1 per day for the first 10MB, followed by 30c per MB thereafter. Vodafone offers a number of low-cost prepaid options for the consumer on a budget. Vodafone’s ‘My Flex Prepay’ plans offer a flexible plan which can be customised to suit your needs. The cheapest option is $13 every four weeks, where you get 50 minutes calling, 250MB data and 50 texts. For $20, you can get 200 minutes, 1.75GB data and 50 texts, for example. There are a wide range of other options also available within budget. Vodafone also offers a straight-forward ‘Kiwi favourite’ prepay plan. For $19, you can get 200 minutes, 1.25GB data and unlimited texts. Data and minutes carry over, up to a certain amount. Vodafone’s plans last for 28 days and if you use your credit you pay 49c per minute calling, 20c per MB data and 20c per text. However, if you decide you do not want a plan at all, you can use ‘Pay and Go’ prepay, where calls and text rates are slightly cheaper: 30c per minute, 20c per MB and 10c per text. You can redesign your plan online and save your changes for your next plan renewal. You can also start a new plan immediately but you will lose any unused minutes and data, including carry over.